Prime Minister Malcolm Turnbull has dashed hopes for a referendum to establish a new Indigenous advisory body, saying the idea is neither "desirable or capable of winning acceptance", ABC News reports. The decision has been met by anger among Indigenous people from across the country who endorsed the landmark Uluru Statement from the Heart. 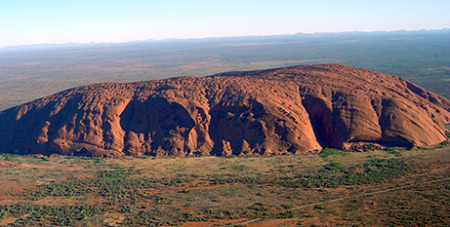 The Uluru proposal was rejected by cabinet five months on from the historic constitutional summit in Central Australia. The government has now formally rejected the key recommendation of the Referendum Council — a report it commissioned to consult widely with Indigenous people on constitutional change. Mr Turnbull said in a statement yesterday a new advisory body "would inevitably become seen as a third chamber of parliament". "Our democracy is built on the foundation of all Australian citizens having equal civic rights, all being able to vote for, stand for and serve in either of the two chambers of our national parliament — the House of Representatives and the Senate," the statement said. "A constitutionally enshrined additional representative assembly for which only Indigenous Australians could vote for or serve in is inconsistent with this fundamental principle." Indigenous Health Minister Ken Wyatt denied the government had been cowardly. "It's a pragmatic level of thinking about the reality of what will fly with the Australian people and what won't," he said. "That's a real kick in the guts for the Referendum Council and certainly a slap in the face of those proponents," shadow assistant minister Pat Dodson said. Senator Dodson said he hoped the Uluru convention's other main proposal — for a treaties commission outside of the constitution — was not junked. The government's announcement it would reject the proposal came on the 32nd anniversary of Uluru being handed over to its traditional owners.